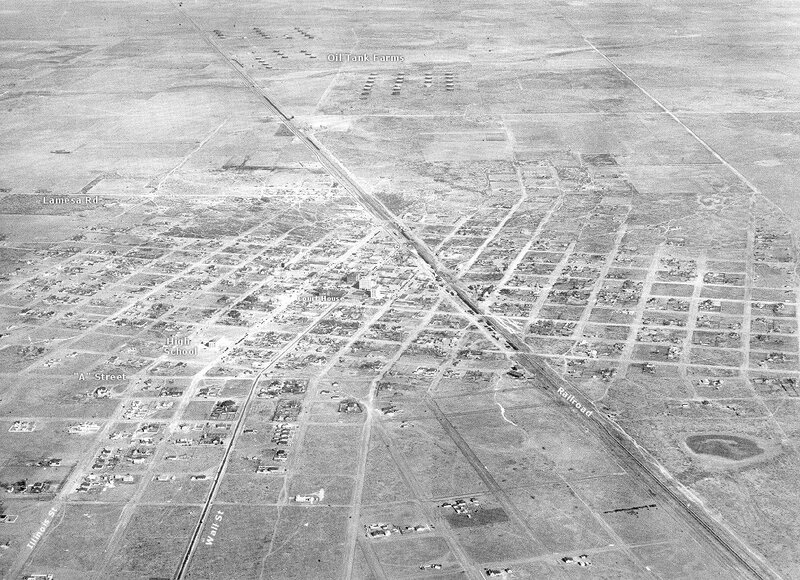 Midland, Texas in 1928, and from this higher altitude aerial photo a town that appears very much smaller. To the west, the city ends approximately where the Museum of the Southwest resides today, while on the north Cuthbert is about the boundary of development. For a town of this size, the contstruction of the Petroleum Building and the Yucca Theater must have been big events.